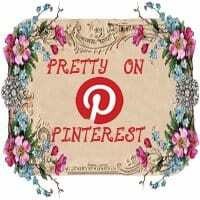 Welcome to Pretty on Pinterest! This meme is hosted by Simply Stacie and Sassy Mama in LA every Thursday where you can link up your posts on the theme of the week. Each week we will have a different theme for you to find pins you love on Pinterest and create a post to link up here. This week’s theme is Chocolate. Follow Simply Stacie and Sassy Mama in LA on Pinterest. Link up your post on the linky below. Visit other people’s posts and discover some new pretty pins for your collection! Next week’s theme is Hot so start thinking about your post to link up next Thursday. Link up your Chocolate posts! We reserve the right to delete any posts that do not fit this week’s theme and posts that include affiliate links. Upcoming Challenge | New Year, New Style ~ Decorating on a Budget. Thank you for hosting this Stacie. It is my first week, linking up, and it was fun putting the post together. I want to do this with you!! I’ll watch to see what’s up on Thursday this week.